Big Bear has so many terrific attractions that you'll want to plan your vacation carefully to make sure you don't miss out on all of the adventures waiting to be had. Take in a concert at The Cave or shop in Big Bear Village. 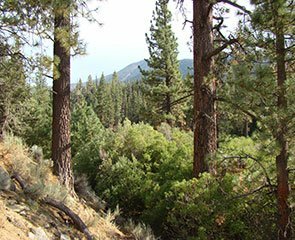 Explore the San Bernardino National Forest at the Big Bear Discovery Center or learn about the history of Big Bear Lake on a Miss Liberty Paddlewheel Boat Tour. If you need help planning your trip, we're happy to make recommendations that will fit your unique group. Miss Liberty is now offering cruises at 2 pm and 4 pm on weekends, and noon and 2pm on Wednesdays. This is a 90 minute fun tour narrated with Bear Valley history. And scenery of the surrounding mountains and forest is beautiful! This is a great activity for a family, or a romantic special occasion. The lower level is enclosed and heated. The upper level is open for fresh air viewing. The cash bar features beer, wine, champagne, soda, candy and chips. Restrooms are on board. Call for reservations and to confirm departure times, (909) 866-8129. And see details on their website. Discounted tickets and an additional noon departure is offered Mothers Day weekend. 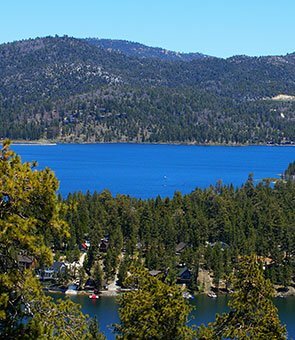 The City of Big Bear Lake boasts a beautiful shopping and entertainment district on the Lake, nestled in the San Bernadino Mountains. With over 120 local vendors, the Big Bear Lake Village can satisfy your every shopping wish in just one stop! With 23 restaurants you'll also find cuisine for any occasion. The Village of Big Bear Lake is the premier shopping, entertainment and resort destination in the Big Bear Valley. Big Bear now has a small concert hall located right in the Village. 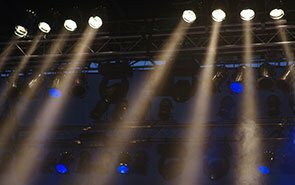 It features live music and comedy shows at reasonable prices with all good seats. Enjoy beer, wine and a dance floor. Opening acts have featured John Denver and Fleetwood Mac tribute bands. VIP seats do sell out in advance. For info and tickets, go to The Cave. 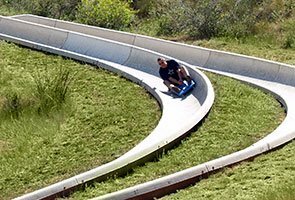 The Alpine Slide at Magic Mountain is open all year and is Southern California's only authentic bobsled experience. Begin with a scenic chairlift ride to the top. From there riders navigate their own individually controlled sleds, each with Teflon runners and ball bearing wheels, down their choice of two quarter-mile long cement tracks filled with high-banked turns and long straightaways. The Big Bear Alpine Zoo is located across the street from Bear Mountain Ski Resort. 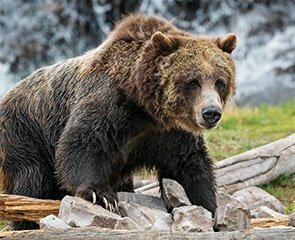 The Big Bear Alpine Zoo is a rehabilitation facility offering injured, orphaned and imprinted wild animals a safe haven; temporarily while they heal or permanently as they are unable to survive on their own. The Big Bear Discovery Center is run by the San Bernardino National Forest Association and the United States Forest Service. The Discovery Center is an information center and educational facility about the San Bernardino National Forest. Their goal is to ensure your visit to the Big Bear Discovery Center heightens your awareness on how to become a more responsible caretaker of a national forest while increasing your enjoyment and knowledge of California’s most recreated forestland, the San Bernardino National Forest. Learn the history of Big Bear from a Certified Segway Tour Guide. Private and Large Groups are welcome. This is a great way to explore the beautiful forest and nature at it’s best. The tours are truly the most relaxing, exhilarating and fun way to see the Big Bear Lake area. 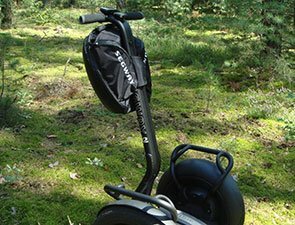 With a guide to show you the basics of riding, and use their local knowledge to give you the best tour content – you’re in for the perfect Segway PT experience. Big Bear Funplex offers the most fun you can find in Big bear Lake, California! 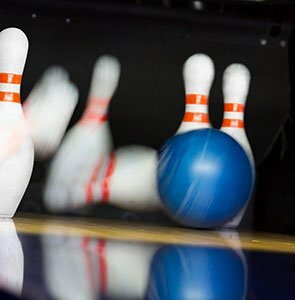 Come enjoy the amusement center, go bowling at The Bowling Barn, or enjoy cocktails and pizza as you watch your favorite sports team on our big screen TVs at Alley Oops Sports Bar. There’s something for everyone here at Big Bear Funplex, so come on down! The Bowling Barn is a 16-lane bowling facility equipped with a state-of-the-art bowling scoring system. No need to keep score, the fully computerized system will take care of that for you. The full service snack bar can serve up a delicious snack while enjoying your time at the Barn. 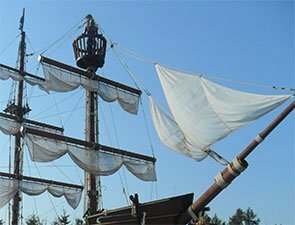 The Big Bear Pirate Ship is a must visit each time you are in Big Bear Lake. They offer daily tours of the lake featuring live entertainment, and their own authentic Pirates. From May to October, guests take a narrated 90 minute tour aboard the 1/3 scale replica of a 16th Century Spanish Galleon. Live entertainment is provided by on-board "pirates." Enjoy a full bar with water and soda. Check out the Pirate Ship Tour online, or call 909-878-4040. You can zip line in Big Bear year round! The experience is thrilling and enhanced by the beautiful scenery of surrounding forest. Action Zip Line is a 3 1/2 tour involving a shuttle to the site. It has 9 zip rides. 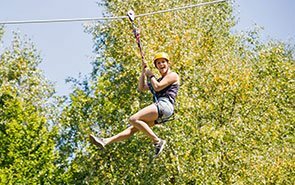 The expert staff of tour guides will show you how to have the most fun ziplining in Big Bear. Zipline gear is provided.